Only Project Admins and Super Admins have rights to create projects. To learn more about user rights check this article. 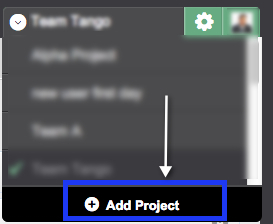 Click on Project name on top right corner and it will show drop with all the projects you are member of and there is "Add Project" link at the bottom of drop down. 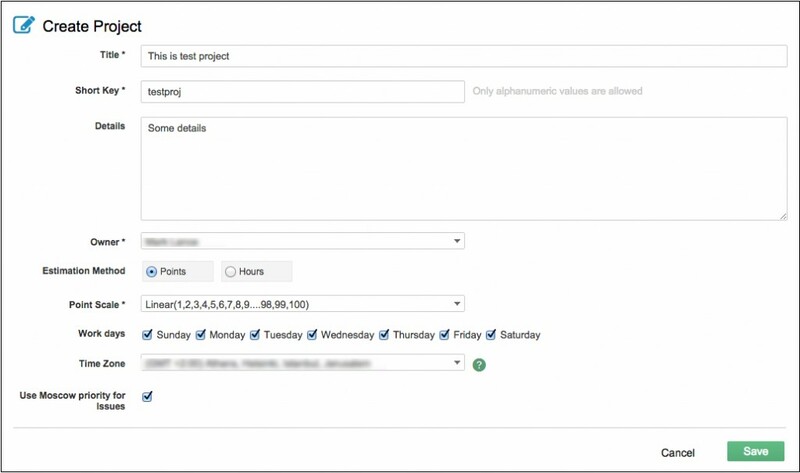 Next you will see "Create Project" form with following details. Project Title: This is project title make it clear enough for your project users and teams to understand purpose better. Short Key: This is to identify project uniquely. On certain views like To-Do and Reports, where data is shown from multiple projects this key helps users to identify the contents and their relative projects. This is also used in "Interact via email" case. Details: It's free text field to write details like purpose etc. for the project. Owner: Person who is creating project by default is the owner. Estimation Method: This field is for User Story estimation method. Yodiz supports both Points and Hours. Point Scale: There are different kind of points scale that can be choosen. Work days: These work days are used for calculations in Sprint Burn down chart and Resources weekly hours. Moscow Priority: For Issues, you can use Moscow Prorities like "Must Fix", "Should Fix". If uncheck there will be single field "High Priority" true or false will be used. After saving you will see screen with list of all users. Click on + button to add them to your newly create project. By default user is added with "User" role, so click on the drop down to change rights to "Admin" if needed.